Clapham is a varied, vibrant area of South London comprising of a huge Common, a long High Street, and Britain’s busiest railway station. The cost of renting in Clapham has steadily risen over the last few years, however, it’s possible to find a bargain on Clapham flat rentals. The northern end of Clapham is more reasonably priced than the south, while the majority of the area has previously been gentrified; the northerners are the latest to receive such treatment. Considered to house mostly students and young professionals just getting started, the polar region of Clapham flat rentals is more urban and up and coming. However, the north, having its own tube station on the northern line makes it an ideal place to reside for commuting. The south end of Clapham is host to younger families and the “professional middle class”. Popular for its appealing gastropubs, farmers markets, and antique shops, the south side of Clapham appeals to the more low-key crowds. For the middle-class residents, Clapham Old Town is lined with large Victorian and Georgian houses, for those families who enjoy a short trip to central London while also having desirable schools and the Clapham Common close by. Some of those homes have been converted and are now Clapham flat rentals. While you can find almost every type of person here, the young professionals seem to dominate the nightlife on the High Street on Saturday nights. But Sunday mornings you’ll find the Common chocked full of families and students enjoying the many local restaurants and shops during the day. Want to know more about Clapham Rentals? 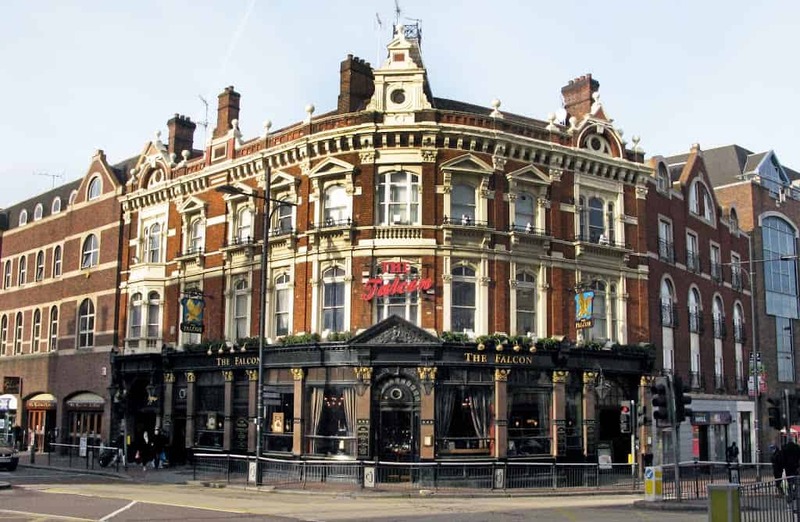 Clapham is widely known for its night scene, having numerous clubs and pubs scattered throughout. Infernos is located in the Clapham Common, it’s the type of night club where you can let your hair down and dance like no-one’s watching. For an inexpensive night out, this is where the younger crowd tends to go to let loose and have a bit of fun. For the more sophisticated bunch, a local laid back favorite is the Rose and Crown. With significant happy hour specials and a chill vibe, natives frequent the Rose and Crown for a post-work cocktail to unwind. There is scarcely a lack of decent eateries in the area, Clapham High Street is lined with small restaurants and takeaways; and you can easily find kebabs, curry, and a late opening KFC after a night out with ease. The High Street of Clapham’s restaurants perhaps encapsulates the variation in the area, where you can always find a quaint place to have a quiet sit down meal or a happening spot that is lively and trendy. Clapham Junction is where all the shopping takes place, housing a Debenhams department store, and a few more clothing shops in the area for when you need some well deserved retail therapy. Clapham Common, a local haunt, hosts regular events during the summer; such as one-day festivals, football tournaments, pet adoptions, and picnics. A vast green space, Clapham Common is a favored choice amongst the residents who just wish to kick back and enjoy a sunny day. Wandsworth Common, only 15 minutes from Clapham Common, has a more organic feel to it. Being home to many diverse species of birds, plants, and insects, Wandsworth Commons caters to those who want to sit down and take nature in, surrounded by a serene peaceful environment. Battersea Park is also within reach by bus, hosting a variety of summer musical events at its famous bandstand. The High Street has three stations on the Northern Line (Clapham South, North, and Common), which can all have you in the West End or the city in fifteen minutes. There are no Underground stations in Clapham Junction, but with so many trains, it hardly appears to matter. The station gives you the opportunity for a day out almost anywhere in the south of England without too much hassle. The area also has recurring night buses from central London.